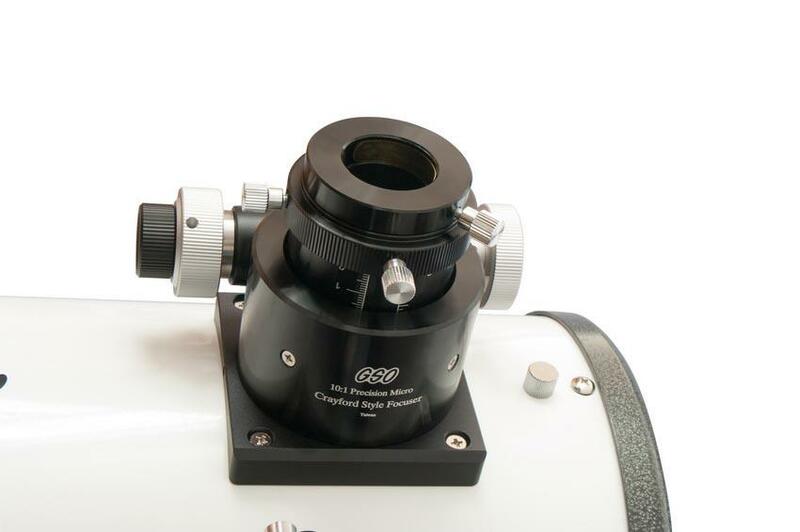 This Classic 8-inch dobsonian from Guan Sheng Optics offers high optical performance at a low price. The optical and mechanical quality are without any compromises.This Classic Dobsonian Telescope is one of our best-sellers. 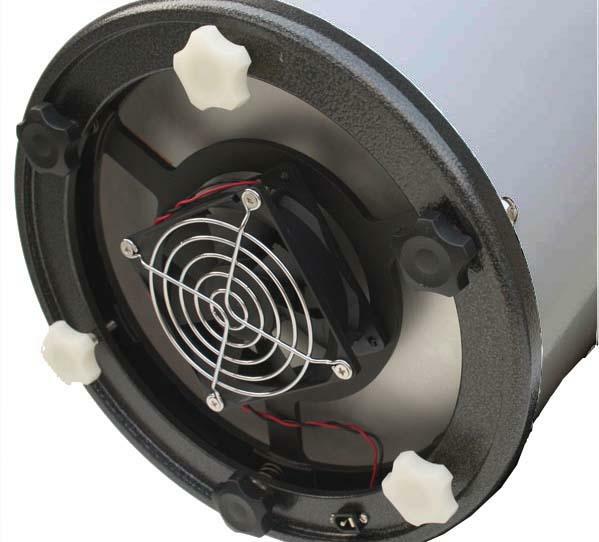 8″ Aperture are perfect for Moon and Planets but also for Nebular objects and Galaxies. This telescope is also very transportable and easy to use – an ideal telescope for beginner! ♦ High quality parabolic optic with 200 mm diameter and 1200 mm focal length. ♦ 94% enhanced coating for a brighter image. 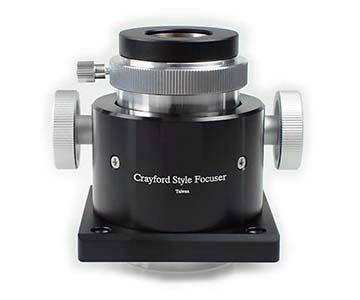 ♦ Precise 2″ Crayford focuser for comfortable focusing – ready for 1.25″ and 2″ accessories. ♦ Solid Steel Tube and adjustable mirror cells for perfect collimation and good images. ♦ Upgradeable for Astrophotography, Binoculars …. Dobsonian Telescopes from GSO offers a lot of telescope for the money. They are often purchased for beginner due to their simplicity and ease of use. Dobsonian telescopes are designed for visual observing. GSO Dobsonians have better coating and high quality mirrors for maximum sucess and fun under the skies. Its cost/performance ratio is truly unbeatable. Excellent Visual Performance: For best possible image quality you need high quality optics as well as optimized mechanics. The GSO Dobsonian has both. The thin spider vanes improve contrast and image sharpness compared with a simpler spider with thick vanes. The 94% enhanced coating on main mirror and secondary mirror produces a brighter image. Save up to 10% light against other telescopes with same aperture. Grab-And-Go Setup: The simple and intuitive way to use this telescope makes it much easier for beginners to spend their first joyful hours under the starry sky. Set-up is as easy as you can imagine: Just put the rocker box on the ground, insert the telescope tube and put the springs in position and you´re ready to go! 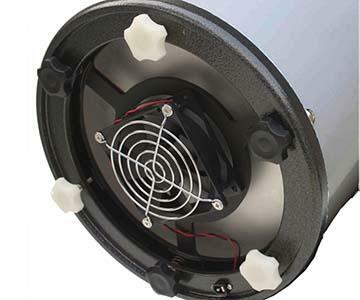 Primary Mirror Cooling Fan: Until a mirror is properly cooled down it will create currents of warm air that will deteriorate the image – no matter which mirror substrate is used. Only after the mirror has cooled down this effect stops. The Cooling Fan reduces the cooling down time. 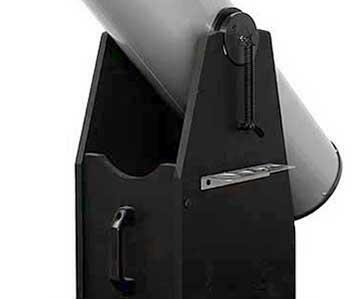 Upgrade your Dobsonian: A dobsonian telescope from GSO is a perfect starter telescope. You will get a high end optic for an incredible low price. Later you can upgrade the telescope with eyepieces, filters or with cradle rings to mount it upon a parallactic mount. Than you also can start with astrophotography through yor newtonian telescope. Optical performance: The telescope is equipped with high quality GSO mirrors. The selected main mirror is better, than difraction limited. We always make optical tests on our optical banch to guarantee the high optical level of GSO Newtonians and Dobsonians. — Much smoother focus motion compared with simpler focusers. — No image shift. This means that the object will remain precisely in position while you focus. Simpler focusers tend to be shifted a little bit out of alignment, resulting in a relative movement of the object. This somewhat annoying effect does not occur in the Crayford focuser. — No play when you reverse the focusing direction. The focuser will reverse the direction in which it moves instantaneously when you change the direction in which you turn the focus knobs. The mount of a Dobsonian telescope is called “Rocker-Box”, a fitting name for the uniquely simple and well-working design. The rocker allows you to point the telescope at any point in the sky and allows for comfortable, intuitive movement. Moving the telescope is very simple, just push the telescope into the right direction ? no need to use clamps or motors, it doesn´t get more simple than this! Since you need to move the Dobsonian manually it is particularly important that the movement be as smooth as possible. The Dobsonian has an azimuth roller bearing for smooth operation. For the elevation, the telescope is equiped with the Spring Tension System. This prevents the telescope from moving for example when exchanging eyepieces.